Come discover the Creekside Cove Community and experience the peaceful and tranquil setting of a community devoted to seclusion, privacy, relaxation and that is tailored to making your dreams of building and owning a new home a reality! 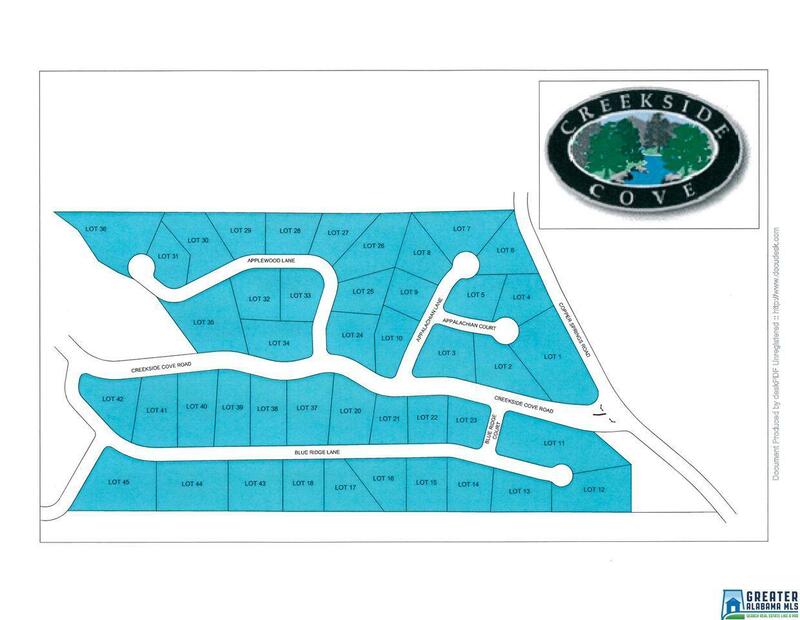 Lots are now being sold in Odenville's Prestigious New Home Community! Bring your own license builder! No time frame to build! Custom Built Homes. No mobile homes. 1500 min sq. ft. one level homes and 1800 sq. ft. min. multi level homes. 75% brick or stone. Septic tanks. Under ground utilities. HOA fee is only $150.00 yearly! 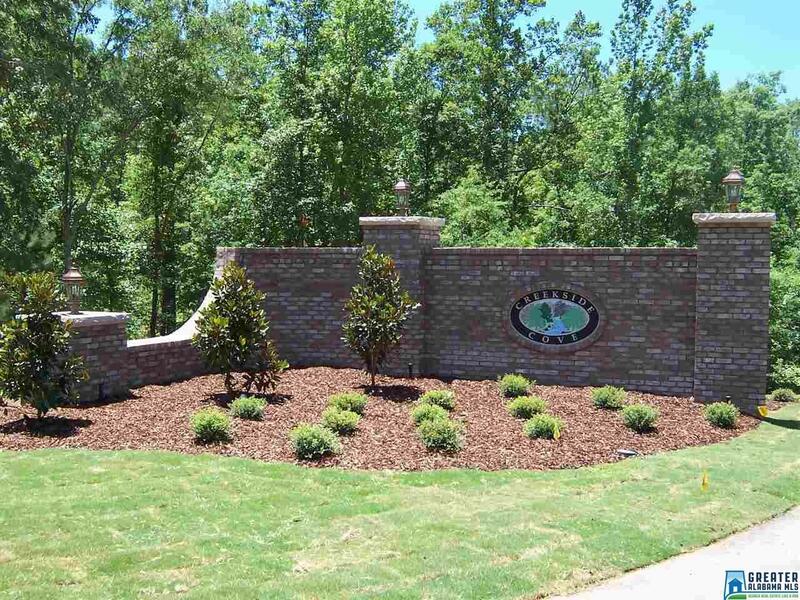 Community has walking trails, pavilion and playground area! Your Life called, its time to make a move! Listing provided courtesy of Lovejoy Realty. © 2019 Greater Alabama Multiple Listing Service, Inc.